AC offers a course in the Upper School called Science Writing and Research. In this course, some of our most experienced and talented students are asked to take their learning and apply it to original research. This opportunity of doing original research is often relegated to later years in college or graduate school, so it gives our students an early opportunity to contribute to the body of scientific knowledge in an area in which they are curious or have a passion. For the last two years, this course has culminated in the presentation of their research at St. John Fisher College at their annual Student Scholarship and Creative Work Symposium. This yearly event is reserved for their college students, but they have allowed us to present alongside their students and faculty. The feedback that we have received has been stellar, and they have invited us back for a third year…which is where you come in. We are looking for adult volunteers to serve as subject experts and feedback panelists. This opportunity is geared toward any AC parent or alumna/us who has experience or expertise within any field that is conducting ongoing research. Whether you have a background in science or medicine, or you deal regularly with data and research, we would love to have you sit on our panel and provide feedback to our students. If you are interested in this opportunity, the date is April 26th, and the time commitment is from 9:00 a.m. to 12 noon. Lunch is provided afterward if you are able to stick around, but that part is not required. During the presentations, you will be asked to provide feedback, ask questions, and help our students learn and grow by pushing their thinking. Please email me directly at tgodkin@allendalecolumbia.org if you are able to help out with this event or if you have any questions, and I look forward to seeing you there. 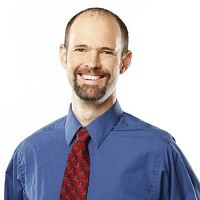 Travis holds a Bachelor of Science Degree in Biology from Allegheny College, a Master of Science Degree in Zoology from the University of New Hampshire, and a Master of Science Degree in Science Education from Oregon State University. He taught high school Biology in Dallas, Oregon, for five years and moved to the Rochester area to be closer to family.